Army launches operation to end cattle rustling – Royal Times of Nigeria. 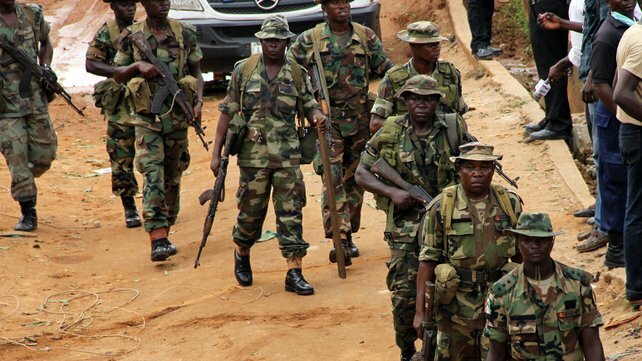 The 1 Division, Nigerian Army, Kaduna has launched a special operation in parts of Kaduna and Niger States to tackle rising cases of kidnapping, armed robbery and cattle rustling. The operation, code named `Karamin Goro’, will cover Minna-Birnin Gwari-Pandogari and Minna-Sarkin Pawa general area, a statement by the Deputy Director, Army Public Relations, Col. Muhammad Dole said on Thursday.